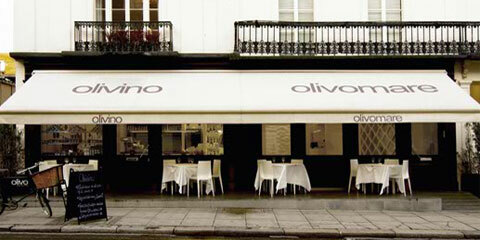 Olivino is a delicatessen shop designed by Pierluigi Piu complementary to the Olivomare Restaurant, with which it shares the appealing aubergine colored shopfront. 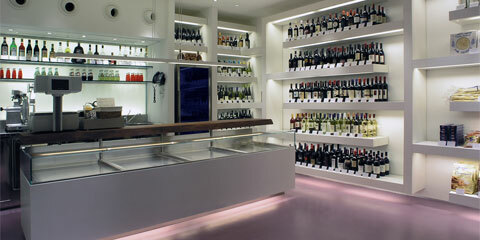 The shop is limited within 40 square meters room facing the public, were a staircase protected by a full height frame-less glazed partition leads to the storage located in the basement. 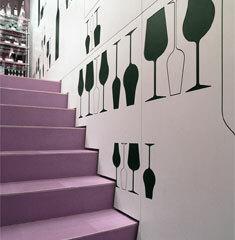 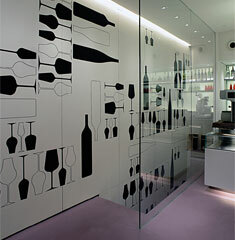 The perimetrical wall, adjacent to the staircase, is entirely covered by a cladding finished with a double layer of thick opaque laminated plastic on which has been engraved a decorative patterns of variously oriented bottles and glasses. 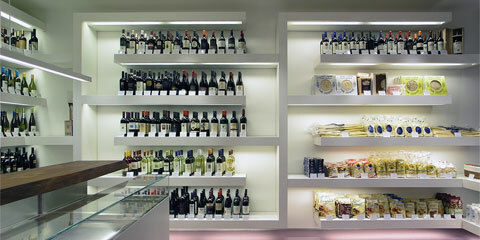 On the opposite side a system of overhanging shelves allows to set off the pre-packed goods displayed on them, while not lasting food is shown in a custom made refrigerated counter which features a lower section, an upper glazed showcase and a working top made out of a thick solid wood board. 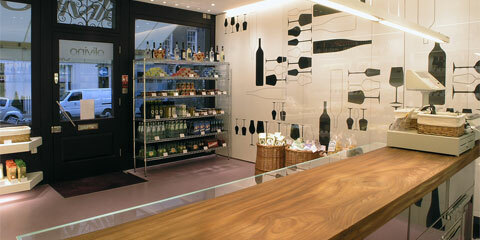 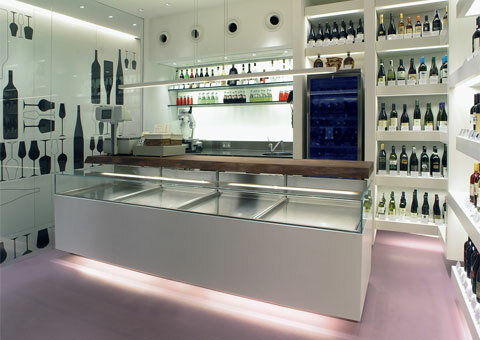 A light purple resign floor complete the delicatessen shop interior.